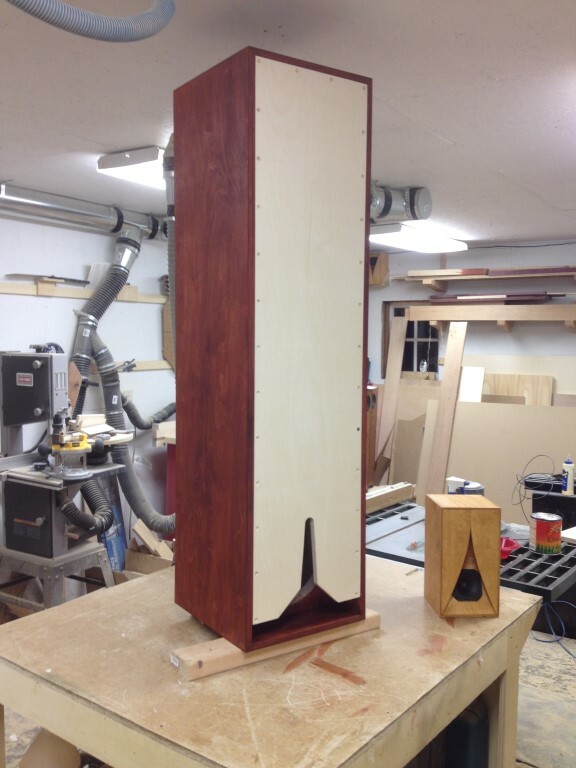 although I don't think it would be louder down low than a regular 6th order assisted reflex , a Karlson 15 run per Exemplar makes an articulate subwoofer and an existing K15 can be modified with no cutting of the cabinet. Two 3" ID PVC elbows would mount to a board which covers the port and that board screwed and sealed over K15's port. 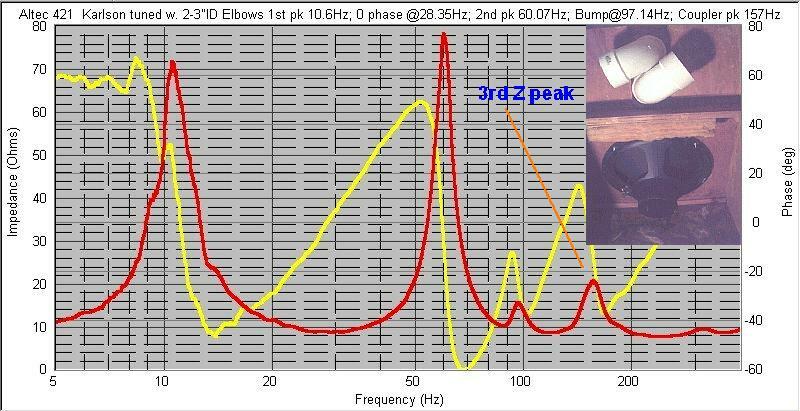 That drops the system tuning from the mid-upper 40's to around 29Hz. A low fs Altec 515 or 416 is used. Apply some boost at Fb, xover as usual where it sounds best with the upper speaker. a tall, folded ~20Hz path tapped pipe with good 15 would be interesting too. Driver needs to be offset to prevent a deep notch. This pipe for a cheap 12" is around 5 foot tall. That aperture is squeezed too much for playing sine wave but fine for music. 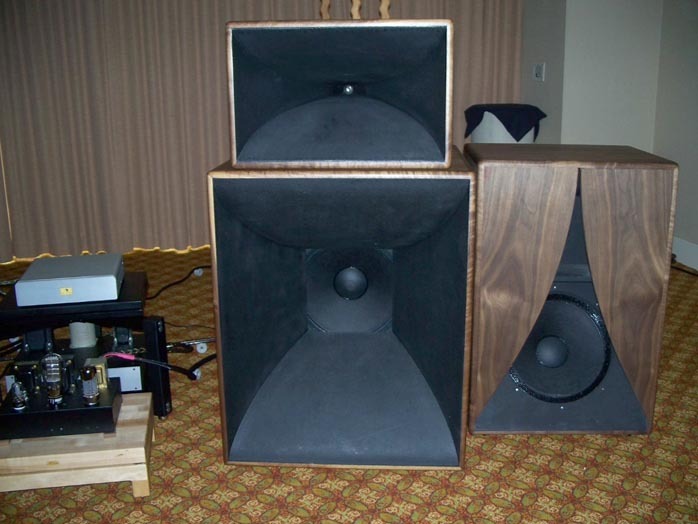 Ask TB46 to calculate a 15" version if you've a woofer in mind. Last edited by freddi; 6th October 2017 at 05:47 PM.